The Oak Log is The Nature Conservancy’s Vermont Chapter’s newsletter, published twice a year for their members. 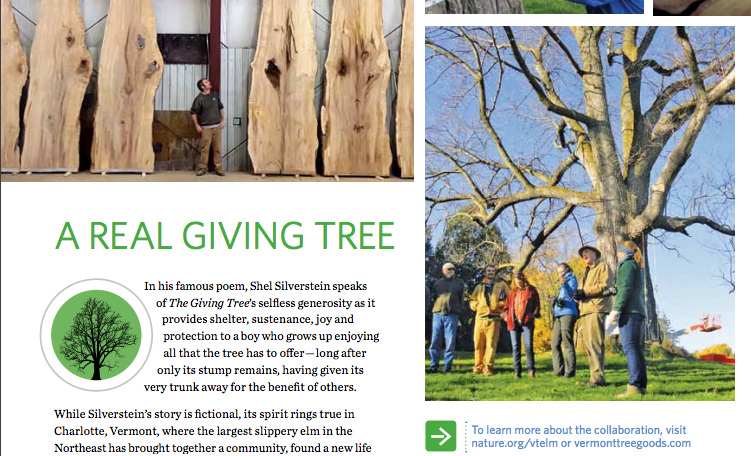 The latest edition features a wonderfully written article featuring the story of The Vermont Elm. We are so grateful for The Nature Conservancy’s environmental advocacy and on-the-ground work to preserve the Elm species. We hope that the contribution we make, via sales of product made from The Vermont Elm, will help make these efforts successful! Read the full story and see all the pictures by clicking here.